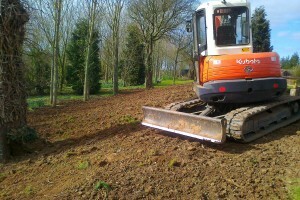 A steep un-managable area was transformed into a rolling bank in readiness for grass seeding. 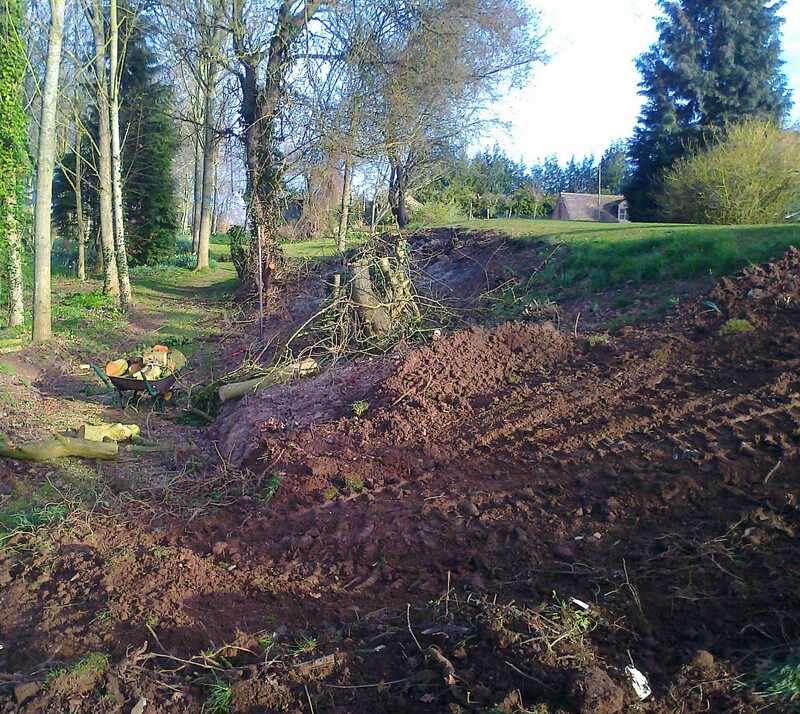 Firstly the tree stumps were removed from the area to be re-shaped. Earth was then moved from relevant areas and re-compacted to form the desired gradients. 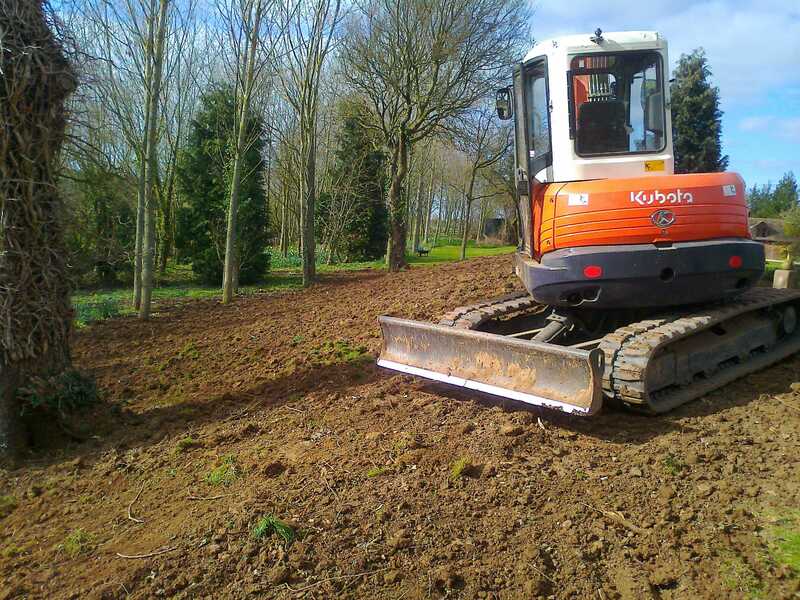 A layer of top-soil was then replaced on the surface to allow grass seed to take. 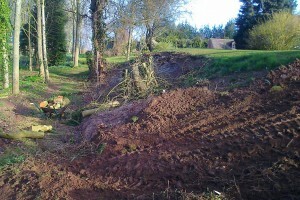 The job was completed in one working day.